The Romans had done persecutions before. What was the difference? Diocletian helped calm down the stress of financial difficulties. He increased taxes, built up the army, made it into a military state which were all things that worked before. What was the difference which caused the persecution of the Catholics? Two things caused the hatred of the Catholics-one the stress of the people being on the edge of the decline of the civilization. Second, the return to rejuvenate the glory that was Rome was based on a conservatism, of a system which was outdated, as the new system emerging was feudalism, which was local government, a new idea, as the empire idea was passe. Rome was twice the size of the old USSR. The empire model was ending fast, the imperial system was old and weary, whereas the local systems were growing. The Senate was made up of local Roman families, not world travelers, like the emperors or the army. Rome was reliant on the supply lines, corn from Egypt, and other far trade routes. Over-centralization killed Rome-Rome could not re-invent itself. A city like Rome has never existed since then, never. A real center of politics, technology, trade and it was increasingly reliant on charismatic leaders like Diocletian. Stress is now in the States. I see it and I feel it. The inside was crumbling. Therefore, a scapegoat had to be found. 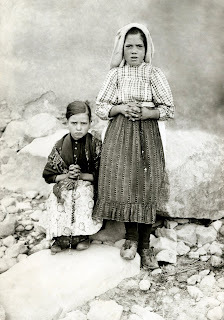 The Catholics.........the Catholics became the scapegoats as the largest minority group. They were at least 20% to 30% of the population. They were seen as a threat to the old common good. There were many Catholics in the military. And, they could command armies, and even become emperor. They were THE threat to the world order. A huge system which was NOT pagan threatened the system. Yes! We are on the edge now, dear readers. Catholicism could not be adopted by the pagans, as other cults were. Catholicism could not be put into the melting pot. America is a melting pot. And the separation of church and state is ending, as the state will create a religion of secularism. Is this behind the new law? 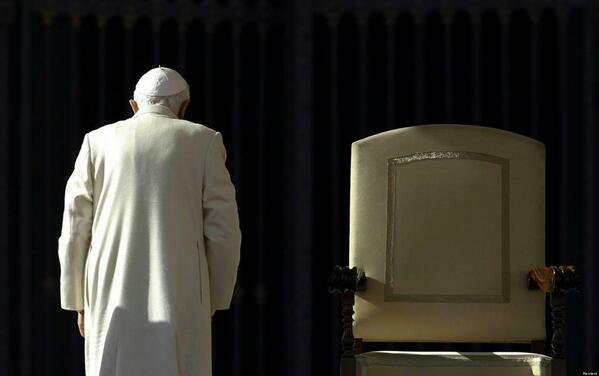 Knowingly reject the Church – and Peter – and the Church’s teaching and her discipline of Christ’s sacraments, and you place yourself on a path that might just land you in hell for eternity. For some reason the combox was closed on this blog. But, for those of you who read my persecution series, you know I have been on about these times as well. Here is the link of those AGAIN. Here is your choice, parents: saints or children who will disappear into the secular mountain. 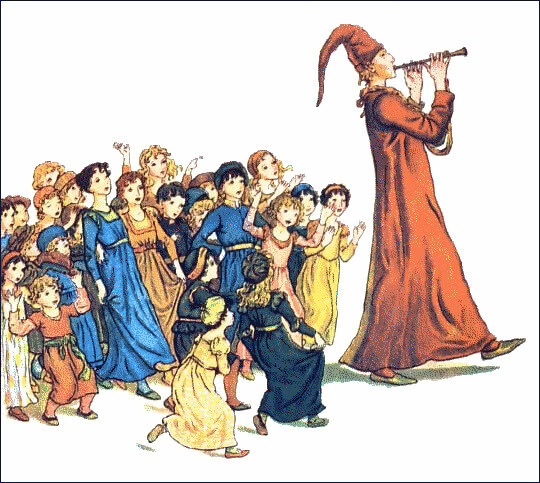 Greed was the reason why the parents lost their children to the Pied Piper. No difference today-when money is god, when Catholics vote socialist, this is what happens. If you are in Great Britain, sign the above petition. The Memorare Pledge Challenge is going around twitter. I shall keep track. Also, tell me in comments how many you will say for this college. TAC grads, please join in as there is a connection. I think they want 3.5 Million Memorares. If you are on twitter, pass on and use #IrishMemorare. But, I need numbers to keep track, please. So use EITHER poll, comment box, or twitter to tell me the numbers. Thanks so much. Keep them coming and let me know the number. Thanks everyone, we need a lot more. Remember, O most gracious Virgin Mary, that never was it known that anyone who fled to thy protection, implored thy help, or sought thine intercession was left unaided. Inspired by this confidence, I fly unto thee, O Virgin of virgins, my mother; to thee do I come, before thee I stand, sinful and sorrowful. O Mother of the Word Incarnate, despise not my petitions, but in thy mercy hear and answer me. There is a consortium of people in America and in Ireland who want to start up a Catholic liberal arts college. They are asking for thousands of Memorares as a promise to Our Lady. I shall get the exact number later. Can you sign up for ten, or twenty, or thirty Memorares? Let me know so we can keep track. See side poll. Why? I mean just why? I want to apologize to the blogging friends who wanted me to organize all the past postings on perfection. As I am fighting an old computer and off and on Internet, I hope you can wait until I have more peaceful access to both. 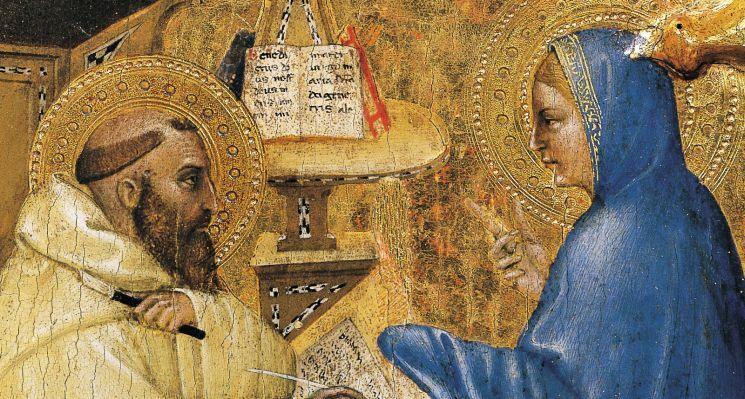 The old fashioned teaching which I grew up with and which was taught in the pre-Vatican II Church included the emphasis on the practice of the virtues, which I have mentioned here and do so again today. One of the great misunderstandings of Catholics in the pew is that the avoidance of mortal and venial sins are enough to gain heaven, with a few meritorious acts attached. Not so. The great teaching of the Church includes the idea that the life of the virtues and the manifestation of the gifts of the Holy Spirit must be part of the life of a Catholic in order to gain heaven. Purgatory is exactly that, purgation, and the end of the time in which to develop, practice the virtues. The gifts of the Spirit help us perfect the virtues. When was the last time you heard any teaching from the pulpit on the necessity of the virtuous life? Throughout the ages, many, many spiritual guides have helped us with these ideas, which are not new. If I can oversimplify the process, it would be like this: first, the introduction of the soul into the life of sanctifying grace, which informs actual grace and gives us, (happens at baptism), the theological virtues of Faith, Hope and Charity; second; the intellect and soul must cooperate with grace in the development of the virtues-the soul needs the intellect and the will to live in the life of sanctifying grace. Third, the virtues must become habits, not merely something we think of doing now and then. Without this practice of the virtues, there is a chance of losing our salvation. We develop adisposition to and in developing the virtues. A person who is in the natural order, without grace, may seem to be practicing natural virtues, but without grace, a person is not actually an heir of God, a co-heir of Christ, and therefore, going to heaven. This is one of the great heresies of our day, the idea that just being good gets one to heaven. Being good may be natural for some people, and the supernatural order of grace, that is directed to our final end, can be ignored. We are united to God by grace. The development of the life of the virtues is the necessary step. The Indwelling of the Holy Trinity occurs in baptism and confirmation, and some theologians equate the phrase "the Kingdom of God is within" with that mystery the Indwelling of the Holy Trinity. The Holy Spirit gives us gifts, which help us develop the virtues, and then exhibit the gifts of the Spirit. Grace introduces us into the life of the Trinity. The entire world may be facing this financial difficulties--not just me. Banks make mistakes, people create problems where there are none. Patience and trust are the only solutions. A friend of mine just lost a tremendous amount of money because of the Euro crisis. I have had smaller problems, but stressful. but, I am a bell-weather. Things happen to me first in order to warn others. I do not know why, but this has been the case for a very long time. Some of you may be able to do this already-trust. God bless you. It is a grace. It is a gift of knowing Divine Providence. I know in my deepest soul and heart that He has not given me a spirit of fear, or anxiety, but one of power, love and a sound mind. When I originally posted this, I did not know this, but now I do. Amazing, in less than two years, a major healing of mind and body took place and I did not even see it happening. It began in Cobh. If we all knew this, how easy some relationships would be, as anxiety interferes with love. I had to apologize for causing another person irritation because of my own anxiety. Silly me. This is a bad habit for women. We can fall into nagging and being so anxious that love is blocked. But, forgiveness is good, and we need to be reminded that perfect love drives out fear. One must decide not to be anxious. Love and freedom are in the will, not the emotions. The emotions will follow. Believe me on this one. Be not afraid to ask. That is the key. "Divine Father, call all men to Yourself. Let all the world proclaim Your fatherly goodness and Your divine mercy... Divine Father, Infinite Goodness poured out on all peoples, may You be known, honored, and loved by all men." to me. God, open our hearts so that we know your love truly. We close our hearts because of fear and anxiety. What a great wonder this is, to be loved by the Almighty God. not see love in this world, but we shall in the next. I pray for my readers and I hope you pray for me. By the way, keep a Thank you Diary. Everyday, try and think of at least ten things for which one can thank God. if you tend to forget Who gives us all. God loves a grateful heart. Thank you God for everything. Be perfect, even as your Heavenly Father is Perfect. He desires our perfection in Him. but it is there. God leads one down a dark tunnel in order to lead one to a new light. I have re-posted the necessity of creating the cell in one's mind and heart and soul. Here is a reminder that the only road to perfection for a family is silence and composure at home. I repeat this as part of the second perfection series. Parents, your kids will be saints or not under your care. Today, it is more important than ever that I shall my Sunday sermon experience. The priest who said the Mass at St. John's Co-Cathedral noted that today, on the Feast of the Holy Family, that parents should make the home a place of (GET READY FOR THIS) silence and composure. I could not believe it, but was so delighted with his admonition, that I think I wished I had the computer out taking notes. The Canon stated that the family must be a place which is conducive to the growth of the Catholic Faith. Wow. And, this is so true, unless the Faith is preserved and encouraged in the family, it will die. so often given in the Confessional, (not by the excellent priests in Bayswater, by the way, who are great). of the laity. One cannot be holy and commit mortal sin. One, simplifying life. The kids do not have to do everything. Two, simplifying life. You do not have to own everything or have the perfect living room or state-of-the-art kitchen. Three, simplifying life. Mom stays at home and you all take a lower standard of living. Four, being orthodox in your beliefs; that is, conforming your minds, hearts and souls to the Church. Five, not having a television, or at least, restricting viewing. We did not have one in my little family and we learned to have times of silence. Six, why silence? One cannot hear God, nor experience the movements of the Holy Spirit in noise. Seven, why composure? Anger and hatred, rudeness and lack of manners have no place in the home. The world needs yet more gentlemen and gentle ladies. Composure in a home creates an atmosphere of peace so that children may grow up in respect and love. Noise is not respectful. That this priest could see the problem is a grace for us and him. Let us all pray how to make our homes places of silence and composure so that the children can learn to hear God and not the noise of the world. St. John the Baptist went into the desert. So did Christ and St. Paul. Our homes can be "desert homes". Create a place where holiness and perfection can take root and grow. Without this, parents are cooperating with God to create saints. 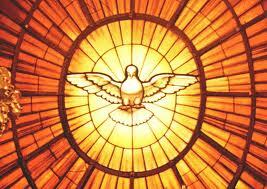 Holy Spirit the Rule is actually a daily way of examination of conscience which happens immediately, all day long. For me, obedience was not difficult. But, God deals directly with a person under obedience in two ways. One way is directly through the Rule and, in one's superior. The second way of obedience is through one's direct relationship with God especially in deep prayer. The Tyburn order has the great advantage of daily long hours of Adoration, providing time for the postulant to wait on God for insights and direction. Lectio Divina and one's personal reading and to spiritual growth and formation. I heard a fantastic sermon this morning which I shall share in the next post. Remember, all the laity are called to perfection, although the convent and monastery are short-cuts. All are called to be perfect. What is hard is to persevere seeking Christ the Beloved without the short-cuts. 3. Great difficulty in meditating discursively, an attraction for the simple affective gaze toward God. Inspiration of the gift of understanding, beginning of infused contemplation. 2. Keen desire to serve God, thirst for justice, and fear of sin. Resistance to temptations. Inspiration of the gift of fortitude, which in the midst of difficulties preserves the hunger and thrist for justice, and influence of the gift of fear to resist temptations. 1. Sensible aridity, no consolation in the things of God, or in created things. Inspiration of the gift of knowledge, which shows the vanity and emptiness of everthing created, the gravity of sin, whence the tears of true contrition. 40. Cf. R. de Sinety, Psychopathologie et direction, 1934, pp. 66-87. 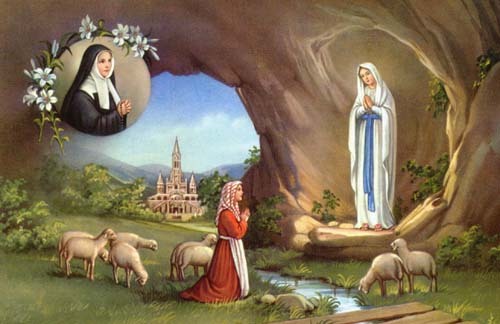 Please stop today on this Feast of Our Lady of Lourdes and ask her to heal those we love. Remember me as well.